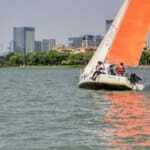 Try a new experience; try lake sailing on Jinji Hu. 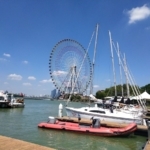 Join us for sailing on the lake and find out how much fun it is! Discover a new angle of SIP, feel the freedom and space on the water while you’re away from the crowd and the daily noise. Play with the elements and experience nature. Have fun with new and old friends and work together in a whole new way. Learn new things and enjoy being active and outdoors! 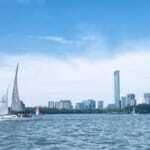 Find out how convenient and easy it is to sail on a city lake close by your home, no endless travel needed. Don’t buy material things, treat yourself with experiences, they last for a lifetime! 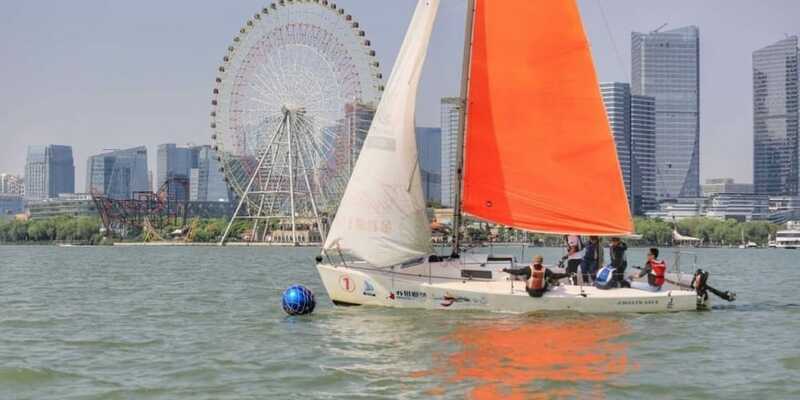 BaQi Sailing Club on Jinji Lake is the most active community of sailors in Suzhou and also the designated organizer of the annual “Lake Cup Regatta”. The mission of the club is to share the sailing lifestyle with likeminded friends. All levels of experience are welcome to join. 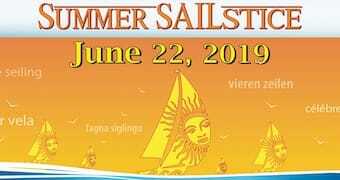 We practice and sail together on weekdays and weekends, so there is plenty of opportunity to sail and learn while doing. In addition the club also offers training courses tailor made practice courses for all levels.